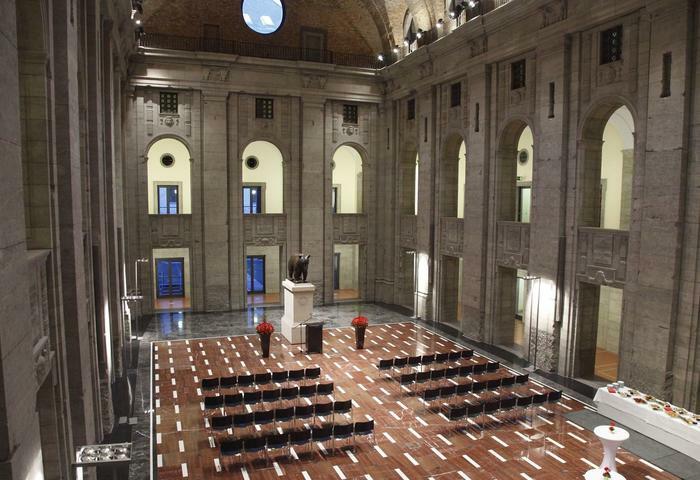 The Bärensaal, 'Bear Hall', in the Old Town House has had an important role in the public life of the city of Berlin. 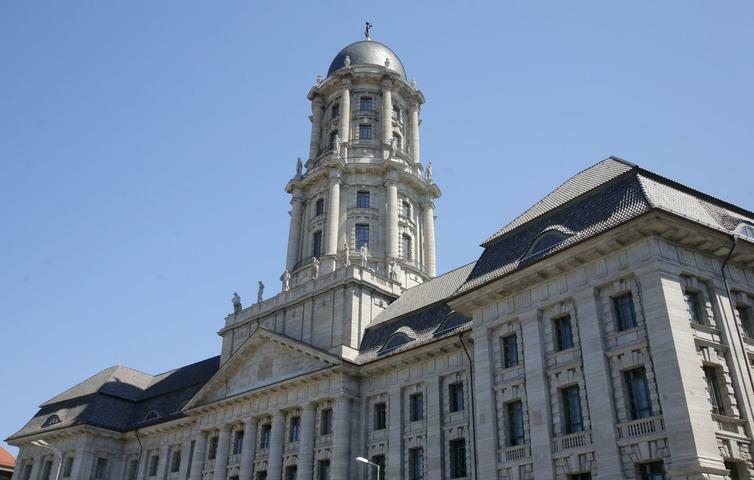 It was originally called 'Great Hall' and served as the central hall of the city of Berlin for almost 50 years from the completion of the building in 1911 to the reconstruction works of the 1950s. The current name was given after a bronze sculpture of a bear was placed in the hall. The newly renovated Bear Hall offers a unique venue for social events of all kinds and can be hired for both public and private use. 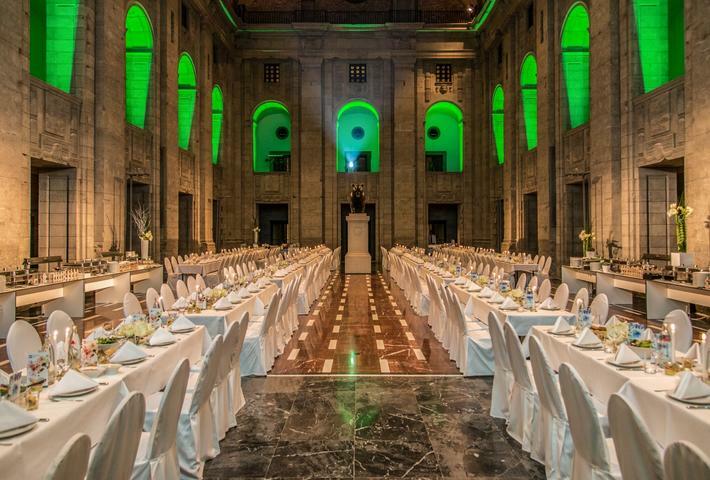 The hall can accommodate around 200 people for a Gala dinner and almost 500 guests for a standing receipt. The Town House is still used as an office building during the day so the Hall is for rent mainly for evening events from 5 PM onward. Day events are possible in restricted extent. We are more than happy to discuss further possibilities and details with you.